Osaki is a popular name in home massage chairs. 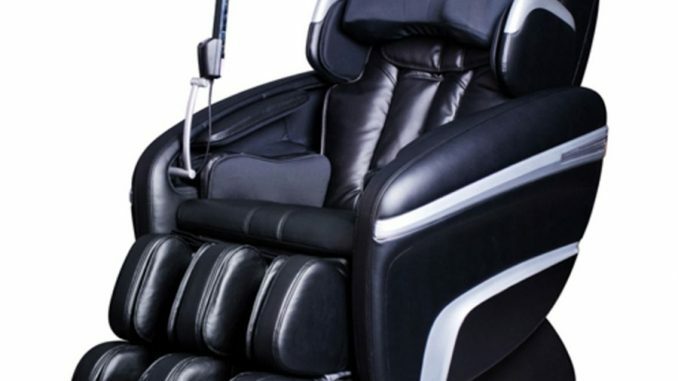 With advanced technologies and a history in the industry, they have a reputation of success and knowledge when it comes to designing a beautiful massage chair. The Osaki OS-7200H is a new addition to the Osaki list of products and has many different features that make it a great chair. A massage chair with a professional edge, it is the perfect addition to many different homes and offices. Keep reading to learn more about all of the features of this amazing massage chair and utilize this to help you decide whether or not it is the right massage chair for your needs. Osaki believes in updating its technologies and always seeking that innovative feature that is going to make its products standout. They have done this in their roller system. The rollers are more advanced in the 7200H than they have been in past models. This is because they offer a rolling motion that is more efficient, more effective, and very life-like. The goal was to create a more realistic feeling massage and these rollers achieve that. It is near human-like when the machine is going and that helps to ease the stress and tension in the body as a result. A more effective roller system means a more effective massage and users are very happy with this change. Some chairs are small and do not let users of all heights find comfort or effectiveness as a result. The Osaki OS-7200H is not one of these chairs. The manufacturer put a strong emphasis on creating a chair that is perfect for taller users. The roller system includes more rollers and advancements, as noted above. The more rollers, the farther the reach throughout the chair. Thus, those who are a bit taller often find this chair more satisfying than others because of the sheer reach and extension that it provides. Further adding to this seating advantage for taller users is the adjustable shoulder massage option. The shoulders are often missed or the massage provided is weak. With the Osaki OS-7200H that is not the case. It allows for an adjustable shoulder massage that can be essentially customized for users so that they can get this very stressed area relaxed. Not everyone wants a strong massage. Not everyone wants a weak one. Some want both. Well, not matter what the choice is for you, the Osaki OS7200-H41 has options. There are five intensity levels on this massage chair giving the user the control in how intense their massage is. There is also a dampening cushion included. This cushion can be placed on the chair in order to help soften the massage’s intensity even further. The air bags are extremely impressive on the Osaki OS7200-H41. It has over fifty different airbags located throughout the chair. These airbags add to the overall comfort level of the chair and serve another important function as well. Each airbag allows for a new location of massage. That means that nearly the whole body can be touched by this machine in a very impressive way. With more bags, the user gets a more intense and comprehensive massage. Over fifty different airbags which add to the comfort and efficiency of the chair. Now that you have read this article and review, you are in a better position to decide whether or not this Osaki is right for you. There are great features on this chair and a design that is perfect for many different household styles. Consider all of this when buying and make sure to check out the Osaki OS-7200H when you are purchasing your next massage chair.